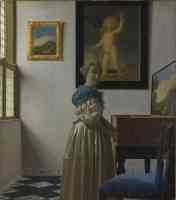 A collection of images featuring johannes vermeer artwork. 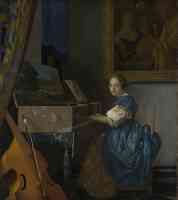 All the dutch baroque pictures featured in this gallery are of a good quality and resolution. They can be used as wallpapers or images for your personal use on your digital devices such as pc, phone, tablet or laptop. Click on a pic to see it in more detail.